Techdew UX Design & Consulting Pvt. Ltd.
We design & develop user interface for Desktops, Tablets, Mobile Phones, kiosk's & other small screen applications. 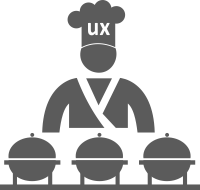 Our End-to-End User Experience service begins with UNDERSTANDING THE USERS to DELIVERING THE EXPERIENCE. Test your design with U&I Test. Measure effectiveness of your design with users through Task analysis. Get insights and design ideas through user feedback / suggestions. 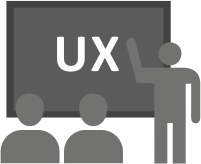 UX mentorship programs + workshops for Students, UI Designers, UI Developers and Other IT professionals. Connecting design talents with creative opportunities. 2000+ UX professionals & 10 + Design Institutes connected with 100+ Employers.